This is definitely one of the strangest recipes I’ve made in a while. I mean that in a good way. While the photo looks like some kind of a crazy dessert, it’s actually a (mostly) savory entree with beans, quinoa, and kale ? just like every boring quinoa bowl you’ve ever had. What’s different about this one is that (you guessed it) it’s also full of Hawaiian-themed ingredients like shredded coconut, pineapple, lime juice, and more. The thing is, the flavors really work. Somehow, throwing everything but the kitchen sink into this one bowl ends up being pretty tasty. 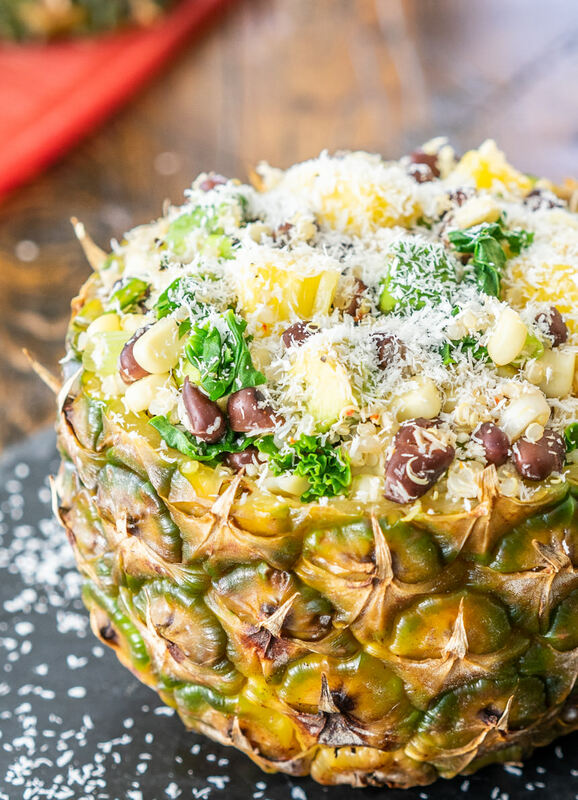 If your tastebuds are getting sick of that plain quinoa tabbouleh and you’re looking for something new, give this one a try at your next luau (you have one every weekend, right"") ? it’s a really fun, easy, different recipe. And, it makes a huge bowl that will bring you leftover lunches for days.